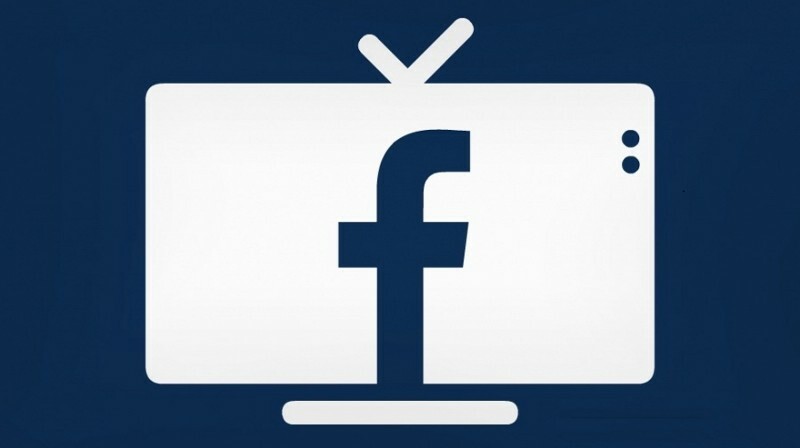 You may have seen that Facebook is planning to release a smart TV app in the not too distant future. This may have limited short term implications but huge medium term impacts on the TV advertising world. We have discussed various issues in the TV advertising world in the past. This includes TV ad buying (TV Ad Buying), TV ad distribution (Cable Ad Distribution), and Samba TV's business model (Samba TV's Business Model). TV advertising remains very difficult. Attribution and targeting are purely statistical unlike digital where users and click streams can be directly tracked. Similarly, content producers can't get accurate viewership information. So what does Facebook's app mean. In the short term, almost nothing. It's effectively the same as the YouTube app - which compared to Netflix and Hulu, has less uptake. Facebook needs to compel users, effectively one at a time, to install the app on their TV and log in. Without a meaningfully differentiated value prop from their core app, and without particularly high quality content on their app generally (generally worse than YouTube, though I guess this is subjective), this will require a significant marketing effort. In the medium- to long-term, however, Facebook may have a significant chance to remake TV advertising. Facebook TV has the chance to meaningfully address all of these. As it relates to the experience, Facebook has long displayed a skill in using machine learning to create and optimize individualized feeds. TV requires either timing or preparation for the experience. Netflix has addressed much of this for the premium quality market, but it's relatively costly and there's a significant amount of space below the Netflix-level of content. It should be noted that high quality video content production is expensive. Facebook has a history of commoditizing content producers, and of not exactly prioritizing their needs. Undoubtedly, Facebook would take a cut of advertising revenues. This compares to today where, in TV, channels reap nearly all of the advertising revenue and also get a subscriber fee from ALL subscribers. So there may be some challenges ahead for Facebook. Even more concerning for Facebook's ambitions here are the realities that the cable companies are increasingly becoming the owners of content themselves (Verizon / Time Warner; Comcast / NBC; etc), and may not be eager to be disintermediated by Facebook. Facebook may not seek to replicate or even compete directly with the TV / Netflix level content. That said, the short-form, low-quality content on Facebook today is hard to sell scalable, TV-quality ads against. But if they can compel content creators to develop higher quality, longer-form videos for their platform then their position dramatically improves. Historically, Facebook has relied on its users to create and share content. As the nature of the company evolves, and as its peers like YouTube and Snapchat pay directly for content, Facebook's relationship with media must evolve. Facebook began paying publishers to produce Facebook Live videos. Recently, it has made waves about a push for longer-form higher-quality content being distributed on its platform. This has aligned with its push for volume-on advertising. All of which could contribute to Facebook eventually becoming a hub for significantly improved content monetization for publishers, which may be coupled with Facebook-sponsored exclusives. It may be the case that the most premium studios - those owned by cable companies - aren't woo'd by Facebook, but many others might be. Cable content producers have no idea how many people watch their shows. They cannot get accurate information from the cable companies - nor can they reconcile viewership information across devices. Instead, they rely on services like Nielsen for approximations. This information cannot be deduped for services where they do have login information, meaning it is challenging for the content producers to sell ads as effectively or optimize their content production. Facebook, meanwhile, can tie the viewer to their login and provide incredibly granular feedback. Companies like Samba and Vizio have tried to obtain this information through relatively unsavory techniques, whereas Facebook could go a long way to improving transparency here. The Facebook login ties to an identify which, in turn, ties to specific, known demographic information. Facebook has dramatically scaled up their programmatic ad buying and are moving quickly to platform-wide (or, at least as much as possible) volume on ads. This aligns with the TV experience and could be extended quickly to their Facebook TV app. I honestly have no idea how a CPV volume-on digital ad compares in price to the same effective experience on linear TV, but it seems inevitable that the two converge given that the experience would converge. At that point, the improved targetability would make Facebook ads a materially improved option for the advertiser. The upfronts model of premium TV will likely not apply to what will probably be somewhat lower quality, more scalable content. Facebook would be able to sell demographically targetable and conversion-trackable (through the Facebook ID, which can be tied to digital conversions and in-store conversions with DataLogix etc) ads. This is the holy grail of digital advertising and the $70B TV market that Google and Facebook crave. Through this ID, Facebook has the potential own advertising across all channels. Of course, this only works if Facebook TV becomes a dominant, or even meaningful channel. And, of course, Facebook needs to become significantly more reliable with their data. If Facebook can successfully pull off all of the above, they could completely reshape the TV industry. It's worth noting that smart TV usage is still relatively low. To have any meaningful impact, this would have to change dramatically - and it likely won't for at least a few years.